My Mum remembered going here from school (that would be around the same time as your Dad, Ruth). 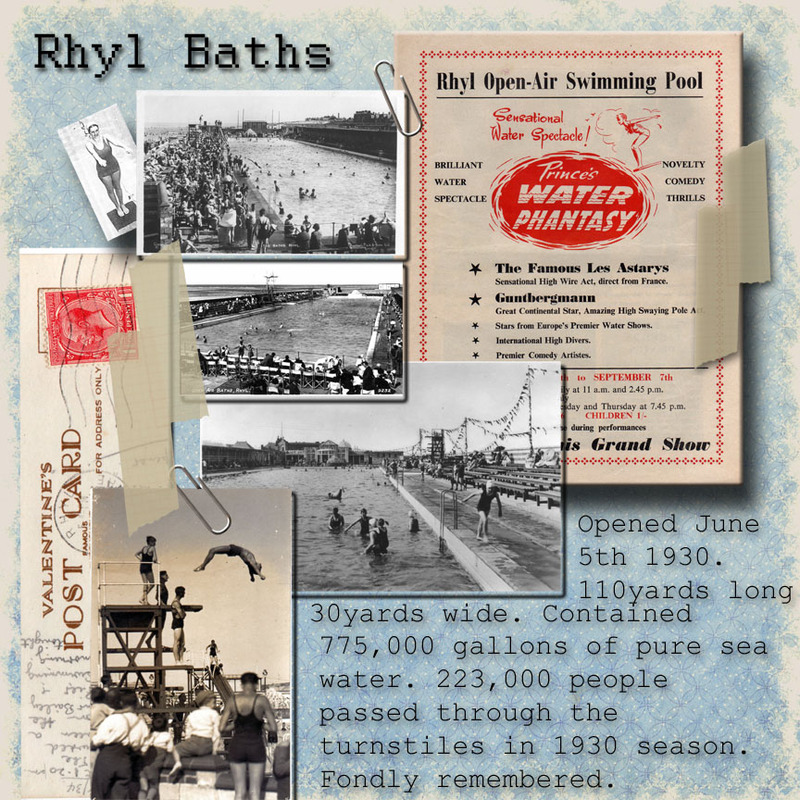 Phyllis Owen used to give them a rope to hang on to and pull them along whilst they tried to swim. When it was Mum’s turn something went wrong and she went under and it frightened her so much she never learnt ! When we used to go to the outdoor baths it was always my Dad who came in with me whilst Mum sat on the side fully dressed !! My Mum was taught by Phyllis Owen as well Maggie. My Dad’s story about the baths was that little lads used to sneak up to the upstairs balcony (where the womens changing cubicles were located) and run past the cubicles pushing the doors open ……clearly there was a lock problem :-(……..what was going on inside was on display to the pool below!